I have worked as Social Worker in various capacities since completing my formal education. I have experience that utilizes techniques from my work in domestic violence, substance abuse, trauma, mental health, maternal and child health, and HIV/AIDS. As a Therapist, I have expanded my knowledge of service provision within clinical settings which has afforded me the ability to accommodate the varying needs of individuals and families. Topics include but are not limited to concerns related to parenting issues, stress reduction, risk reduction, medical diagnosis, psychiatric disorders, and interpersonal relationships. I am hopeful that my experience would benefit you in your need for a therapeutic alliance and that I would make an immediate contribution to your well-being. My client centered approach to counseling focuses on addressing those issues that you consider to be the most immediate and important towards a positive and healthy you by utilizing various techniques to decreasing negative thinking and working towards a "can do" empowering attitude which can be applied in an array of situations. I know that you have options and I thank you for taking the time to explore the possibility of our working together. 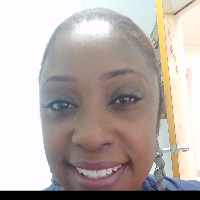 Would you like to write a review for Shavanda Ferguson? We'd appreciate if you can spend a couple of minutes to write a short review for Shavanda Ferguson (MSW, LCSW). This review would be shared with Shavanda Ferguson. It may also be posted in our website or in Shavanda Ferguson's profile but it would be anonymous and your identity would be kept completely confidential.